You must make reservations at least 5 minutes in advance of the time at Viggiano's. Parking lot across the street entrance accessible from Fayette Street. Email us at info@viggianosbyob.com for a copy of our catering menu. Ciao! Welcome to Viggiano's BYOB of Conshohocken! Chef/ Owner Mark Viggiano and wife Lisa Viggiano would like to invite you to experience a little taste of the Viggiano heritage. Mark's parents had ten boys followed by one girl! The concept of Viggiano's BYOB was inspired by memories of sharing food and conversation around the large kitchen table! The Viggiano Family would like to now invite you and your family to experience Viggiano's hospitality and authentic Italian cuisine in a family-style dining atmosphere. The menu is designed to give you choices, there are 2 sizes for our entrees; piccolo is an individual size portion while grande serves two! The menu is also al a carte so you may compliment your entree with a side of pasta or vegetable. The salads as well as appetizers and desserts are large enough to be shared! Our family is thrilled to ,once again invite your family to eat, enjoy and celebrate with us! This recipe is a Viggiano family favorite and is often served for special occasions. A tastsy marinara sauce, layers of pasta, Italian cheeses*, ground meatballs and sweet and veal sausages. Delizioso! An old homemade tradition. Spaghetti with Italian-style meatballs* in marinara sauce. Truly Satisfying! Delicious family dinner with wonderful food and service!! Viggiano's far exceeded our expectations! The food was incredible! You could taste the homemade love in each and every bite! You absolutely must start and end your dining with the Sampler Platters! Let everyone enjoy the tantalizing tastes of a variety of appetizers and then a quarter of desserts. This was our first time dining here and it is just the commencement of many future evenings at Viggiano's. Don't just save this for a special evening - instead make every evening special by dining here. Staff was great - friendly, caring and on top of everything. The ambiance was welcoming - not stiff nor formal - we were treated like family. 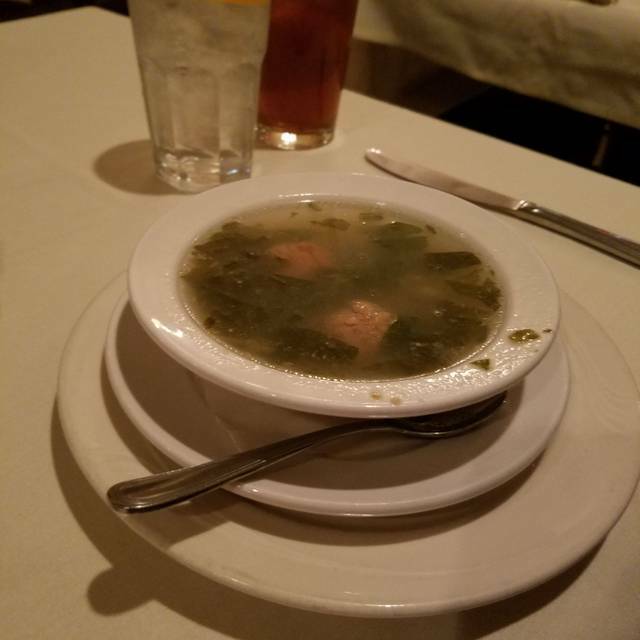 Love, love, love Viggiano's and certain you will too! Fantastic! family owned and operated. Incredible food. Hands down one of the best places to eat in Conshohocken. Wonderful service and meal for our son's engagement! Will definitely come again! Had a great meal and the service was fantastic. Look forward to going back. Miranda was great, very attentive and went out of her way to ask the chef to make another nights special. We will be back again. Consistently great food! You can't go wrong. I will be back. Cant beat the value and the fact its byob. Service was simply outstanding. Staff worked together to anticipate customer needs without asking. Staff was alwyays pleasant and attentive. Truly customer oriented. Menu is extensive and Servers answered all questions. Food was served hot, portions were large and flavorful. Relaxed, warm and nice ambiance - suitable for a date/night out or a family gathering. Rigatoni Pasta and gravy were just like grandma’s. What an amazing experience, some of the best food I’ve ever eaten, the staff was awesome, especially our waitress Megan, who never missed a beat, can’t wait to go back! This visit was the 3rd time our party of 10 enjoyed a great time at Viggiano's. We all look forward to visiting this establishment again for another get together. Great food and atmosphere . Have been here at least 5 or 6 times and never had a bad meal. Come hungry! The food was great and the portions were huge (even the "individual" portions). We had such a nice time and the service was very good. Love a BYO also! My family gathered at Viggiano's for Saturday night dinner and had requested a private dining room. Perfect ambiance- felt like we were in our own home/ Perfect, service- there when we needed them, unobtrusive the rest of the time. Portion sizes were ample; BYOB makes it even more affordable. Highly recommend. We had an enjoyable dinner and evening with attentive service and delicious food. The complimentary homemade Limoncello was the perfect ending. Would not return. Cramped tables, mediocre food with high price tag. When a restaurant offers only "a la carte", find another. Food is always great but service can be slow. One issue is that there is an exit door very near one of the main dining areas. When it is in the 20s and windy outside, it is a major disruption every time someone uses the door. It also slams shut very loudly. It was almost comical that no one addressed this. That said, great food at very reasonable price. Everyone always very pleasant. Just a great nite- great service(Celeste)- food was superb- just a fabulous experience- been here before will be coming back!!!!! BYOB. Great service. Great food. Great atmosphere. We had a great dinner at Viggiano's. Everything was delicious and the staff was friendly and accommodating. We will definitely go back. It's simple, great Italian food at a reasonable price. Eat here!!!! Great Italian BYOB place. They were happy to substitute the marinara sauce for their delicious vodka rose sauce for me with the chicken parmesan... piccolo size was more than enough & the garlic bread was so good. Let me start by saying we LOVE Viggianos and frequently visit this restaurant. However, we went for Valentine's Day and have also gone for Mother's Day in the past. On both occasions, they called to let us know that due to the busy holiday they had another seating at the table and gave us a time frame for which we would need to eat and leave the table. Both times, we had plenty of time to have a nice, relaxed dinner. They have a very friendly and attentive staff so there were no worries about the service. Our issue was with the food. We felt the food was not up to par with their typical performance and that it was most likely prepared in advance. We had chicken piccata and while the sauce was very good, it appeared the chicken had been cooked in advance and then just added to the sauce. 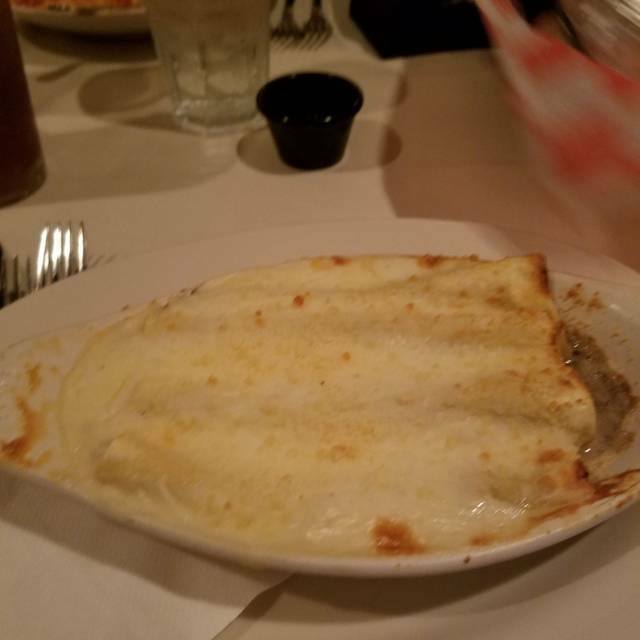 We also had lasagna which again had good flavor, but the top was a little crispier than normal (AKA hard) and our suspicion again is that it was cooked in advance and warmed up to be served. 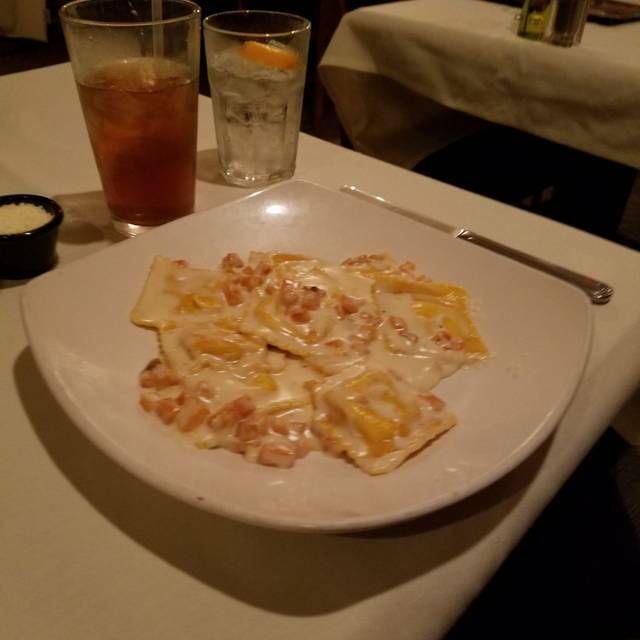 While I would highly recommend Viggiano's for a regular dinner, I would not recommend going for a holiday meal. Beautiful place and atmosphere for dining. Food was sub-par and served at low tempature. So nice, the staff was nice and the food was great! True delicious, family, comfort, Italian food with impeccable service. Our waiter did an excellent job at providing the history of the restaurant, specials and recommendations . He was very attentive without being too on top of us throughout the meal- he gave us plenty of time to enjoy each other's company and enjoy our food. We cannot wait to go back and take others. The food was absolutely delicious. We can't wait to go back. Food is very good, service was great. Relaxed atmosphere...we were not rushed at all. 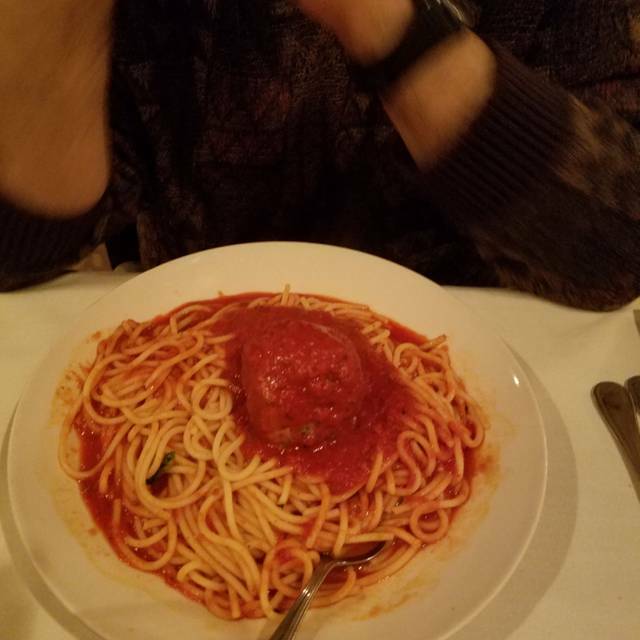 We live in the Exton/West Chester area which doesn’t have many nicer Italian restaurants so for my parents’ 50th anniversary, we figured we’d try Conshohocken which I k we had several Italian restaurants . We picked Viggiano’s as they had a good rating, were BYOB and had a large menu as we had a group of 10. The rating of 3* does not reflect any particular complaint but the food was just ok in our collective opinion, especially for the price point although the BYOB helps to keep cost manageable. If it was local, we’d probably try it again but being half an hour away, we’ll try something else next time.. Always have seen this place but never tried. My gfs and I are always looking for good places as we go out every week in conshy. This was not anywhere near a fave , food was mediocre and just that. The server was very nice and service was prompt but there wasn't anything that stood out. From the start everything was perfect- wait staff- food atmosphere Chef John coming out and spending time with old friends-also Marks wife spending time with us was wonderful!!!!!!!!!!!! This our 5th time at Viggano's. Couldn't be more pleased . Everything including the Food and Service was perfect.